Centrestack server admin can set up WinDbg to catch(capture) the crash when it happens. Go to the WinDbg installation folder, for example, "C:\Program Files (x86)\Windows Kits\10\Debuggers\x64". Run 'windbg -I' (capital i). 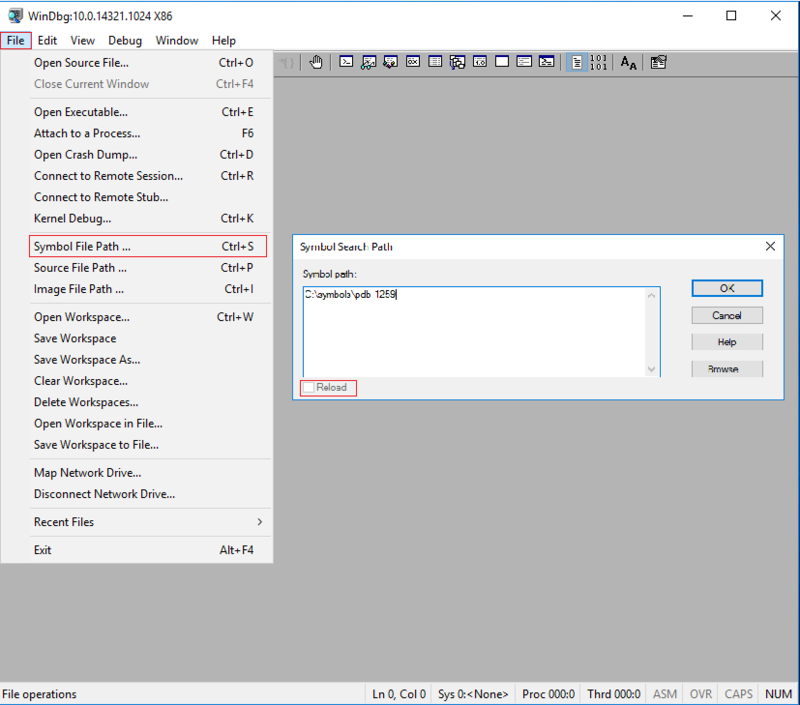 Click OK to set up WinDbg as postmortem debugger. Find the corresponding 'SOS.dll' under 'C:\Windows\Microsoft.NET\Framework || Framework64 (based on your OS 32-bit || 64-bit)\ It should be under v4.0.30319 \SOS.dll'. When any process on the Centrestack server crashes, WinDbg will be auto started. Please notice windbg will catch all crashes on the machine. When windbg catches the crash, please run command '|', to show the process name. On Centrestack server, the Gladinet Cloud Monitoring service process is 'GladinetCloudMonitor.exe'. IIS Application pool process is w3wp.exe. Check the process crashed first, in case it is not related with Centrestack. If you have corresponding pdb file, go to 'File' -> 'Symbol File Path', to define the pdb file path. Select 'Reload' and click OK. Type '.dump /ma c:\temp\crash.dmp', on windbg command field, to create dump. The dump file will be created under c:\temp. If the folder doesn't exist, please change the path. Zip the dump file. Send the saved dump file to Gladinet support.